When we see a certain item of fashion worn by different women, there’s always that sense of assurance that the item is good and is worth an investment, but what we’ve never seen is different women wearing the same dress to the same award show. 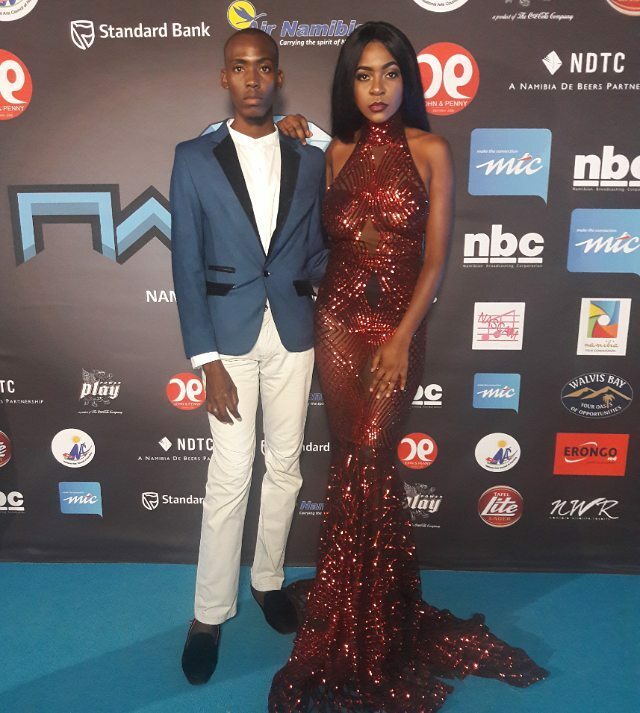 It happened live at last night’s 2017 Namibian Music Awards when Namibian celebrities bumped into each other in duplicate looks — it was seriously confusing and we can imagine all the dramas backstage. 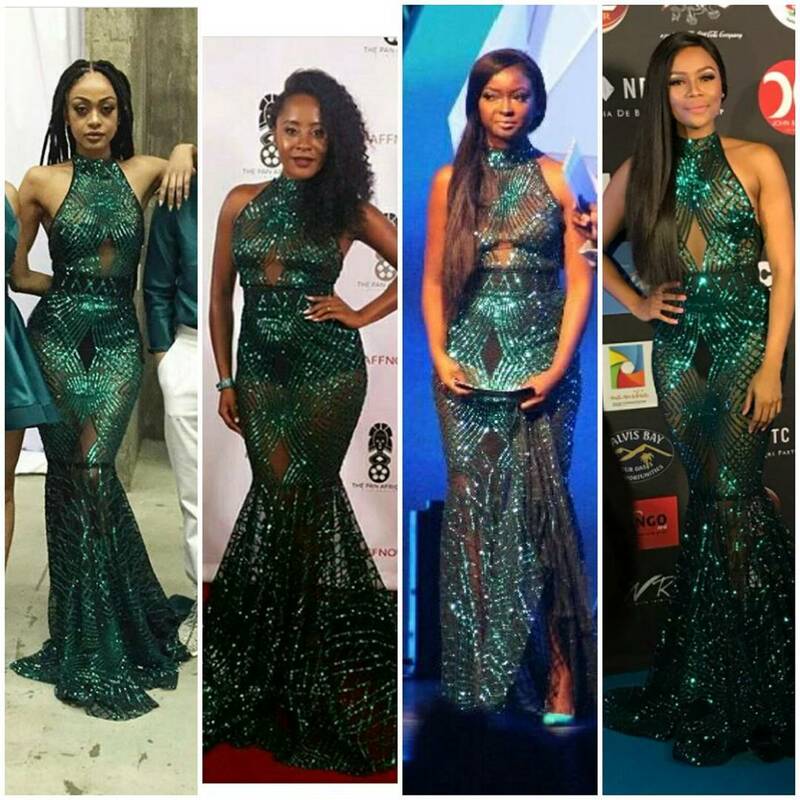 Five ladies including Bonang Matheba who was the host of the show wore the exact revealing dress by Ruberto Scholtz. While we’re not entirely sure how come about the style clash, we did a little digging and found that the designer in question is one of the biggest names in Namibia when it comes to beautifully crafted red carpet dresses — the perfect excuse why the ladies cued up for his designs. As for who wore it best we can’t tell but at a glance, Bonang has the perfect body for the sheer number.